Summer Vacations with babies can be difficult. Whether you are going on a long road trip or flying to a new destination it is challenging to take that first vacation with your baby or toddler. Traveling with kids is much different from a simple Summer vacation that you took with your friends or spouse. 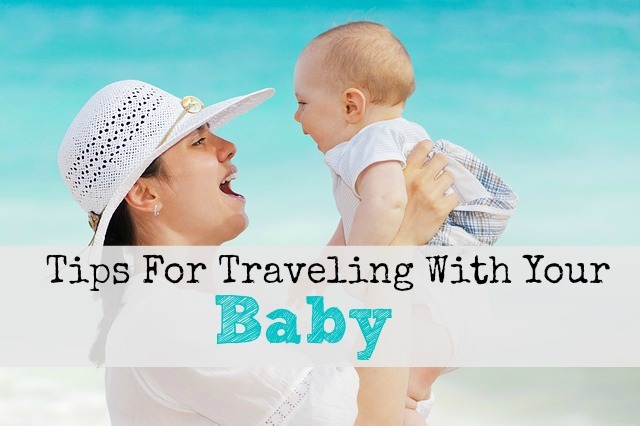 Read below to find some great tips to help decrease your stress for traveling with a baby. Pick a destination that is kid-friendly and will accommodate the needs of your baby. Not every vacation spot is good for children, so make sure you plan ahead and decide on a place that will be fun for everyone. Traveling with your baby to a new destination can be overwhelming. It can disturb sleep patterns and you will need to be flexible with your plans. Make sure you schedule in “down-time” so that your baby can get accustomed to their new surroundings. Take the time to plan everything before your trip. Not only will you be packing for yourself this time, but you will need to pack all the items your baby needs as well. There are many things you may not think of if you are packing last minute so use a baby packing checklist. Most babies have a daily routine. If possible, try to keep your child to their normal schedule. Depending on whether you are driving or flying you will want to plan your travel arrangements around your baby’s schedule. A long road trip can go much smoother if your baby is able to nap when you are driving. You never know what will happen so be prepared. Pack an emergency first aid kit and other safety items you will need to protect your baby. Please share in the comments below your tips for vacations with babies.